I found this book on the Penned in the Margins Facebook page and was automatically drawn to it. A poetry book based on someone’s experience of time spent in a dementia care home is something I have not come across before, and I felt as though the book had the potential to be something truly amazing. I realised that what was most important, was not that Maureen used to like jazz, or that Bill had once been a butcher, but that Jack tells great jokes, Phyllis likes helping others to the table – that’s who these people are now. They are still living their live, and these lives are what need to be represented. 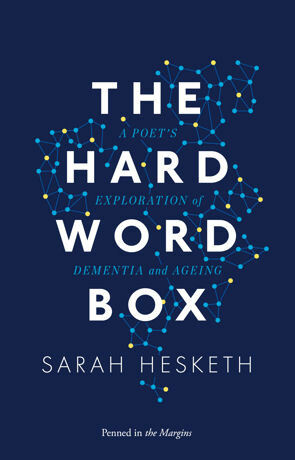 ‘What would happen if you placed contemporary artists in dementia care settings and asked them to create responses?’ – this is exactly what Sarah Hesketh strove to find out, and The Hard Word Box is the result. The individual pieces within The Hard Word Box are a combination of poems, interviews, short stories and anecdotes. The poems are made up of words and phrases included on care plans and posters, as well as those words spoken to Hesketh by the residents of the care home. One particular piece contains every word a certain resident said to Hesketh during her time in the home. The piece, ‘Elizabeth’, is incredibly poignant, spanning several pages, with the words few and far between, casual phrases in a sea of silence. Of the three interviews Hesketh published, it is the one with Marlene, the sister of a dementia sufferer, which I found to be the most moving. She speaks at length about the stigma of dementia – which is of course, something that those with developed dementia cannot do themselves – as well as the seven years she spent caring for her brother as his mental state declined. Marlene spoke of how isolated she became once her friends began to draw away because they could not cope with her brother, and this, she says, is something she will never learn to forget. People fear dementia, and they are embarrassed by it, but this only makes it worse for those for whom dementia is a reality. Getting old is terrifying, not just for those who grow old, but also for the people left behind. Reading The Hard Word Box was an incredibly emotional journey for me. I was reminded of the time my own grandmother spent in a dementia home, before she eventualllost her battle with old age. She was once the most motherly of creatures, always there to make a cup of tea and offer a warm blanket on a cold day. Once in the care home she was a very different lady, she no longer spoke much, and liked to fuss around in the sitting area, rearranging magazines, dusting shelves and continually wiping the care assistants’ names off the white board. I could draw so many parallels to the stories and poems, not just from my grandmothers own situation, but those of the people I grew to know in Nanna’s care home. Elizabeth, who didn’t like cats, and just wanted Blanchy (her daughter, who never visited) to put that ‘thing’ outside; Grace, who, at 103 years old had spent her entire life in care; and a group of ladies whose names escape me, who, every afternoon, could be found sat in the television room, happily singing along to the radio. I could see so much of these times in Hesketh’s work, the high-backed chairs, sterile bathrooms and regimental bedrooms somehow at odds to the colourful array of personalities nestled within the care home. Through The Hard Word Box, Hesketh has given a voice to some of the most outspoken members of society. The individual stories and poems are so sad to read, but it is beautiful to see the words as these people have said them. For me, Hesketh’s work is ground-breaking not in what it says, but in how it says it. I’ve never read a book before which touched me in the quite the same way as The Hard Word Box did. Elizabeth is Missing, with its presentation of dementia, came close, but I felt safe in the knowledge that the book was fiction – written to make you think, but ultimately, to entertain. The reality of The Hard Word Box is something which really struck a chord with me – these people and their stories, lives and words are real. Hesketh made me feel a terrifying array of emotions: I felt cold, lonely, frightened and – ultimately – ashamed. Dementia is such a difficult subject, one that a lot of people simply do not know how to deal with. I will be the first to admit that I find it difficult, but I am learning. The words need saying, but they are, indeed, hard words to say. I don’t normally opt into the whole #TBT thing, but this just seemed to perfect to pass up! I recently came across an old book while unpacking one of the many forgotten boxes of my belongings which occupy our storage room. 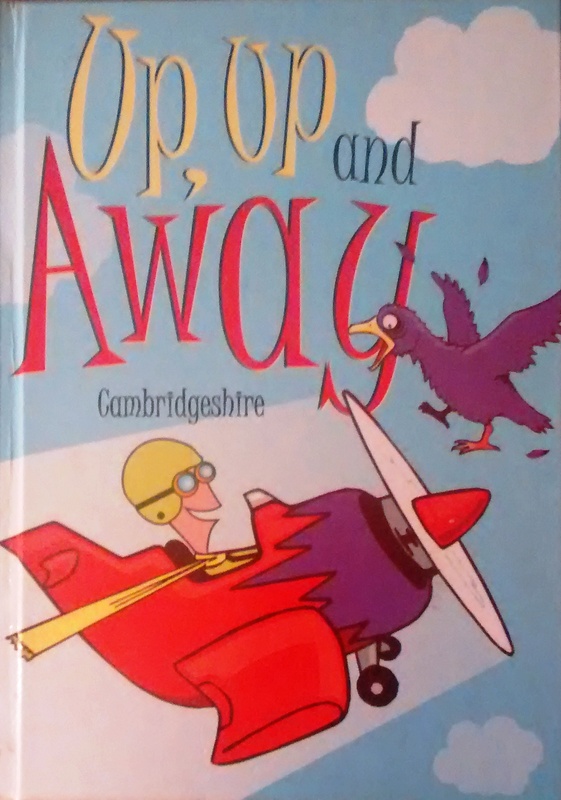 Those of you who live in East Anglia might be familiar with this little gem. This book was published by the group Young Writers, an organisation which runs competitions at primary schools for children to submit poetry and the like. The lucky winners have their work published in a book which is available to buy direct from the organisation. This edition, from 2000, which no doubt once had pride of place on my parents’ book shelf, includes a poem written by me at the tender age of ten. Warning: Contains scenes which some may find distressing. Coat like charcoal as black as night. Innocent flesh of poor helpless mice. Searching for your midnight snack. Ominous isn’t it? I especially like the repetition of the word ‘sharpened’, it really emphasises the sharpness of that cat’s teeth.